KURETAKE-ZIG Calligraphy Marker. This marker features a dual tip with narrow (2.0mm) and broad (5.0mm) ends. 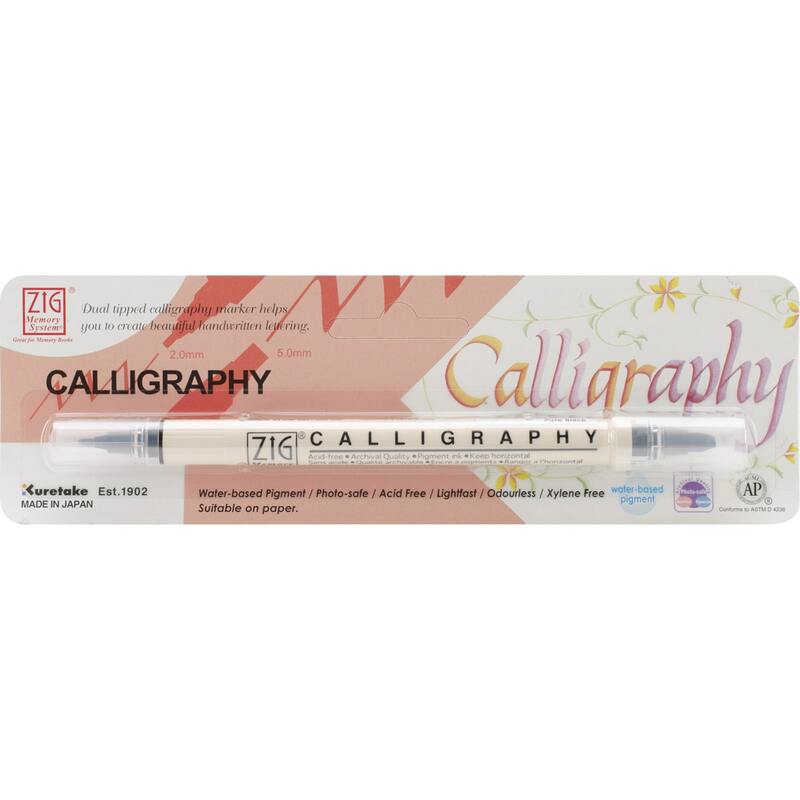 Ideal for making beautiful letters, borders, and designs on paper crafts. The water- based pigment ink is photo-safe, acid free, and lightfast. This package contains one marker. Available in a variety of colors: each sold separately. Conforms to ASTM D4236. Imported.